This is what Porsche calls the “Porsche Lego Big Brick 911 Turbo 3.0,” which is based off of a real car and has a name that’s just as complicated as most other real Porsche cars have. Porsche calls this Lego rendition “unique,” but all I can see when I look at it is a homicidal cartoon frog that’s also a battle car. This Lego car is doesn’t look much like its classic 911 counterpart with an actual engine and normal-sized tires, even though it seems like that was the goal. It looks like what my drawings of a frog would’ve looked like in first grade—green, unnaturally round eyes with creepy centered pupils, a geometric mouth with a forced smile that looks, to parents, like it has sinister motives. The dimensions don’t even line up, either. It’s weird. 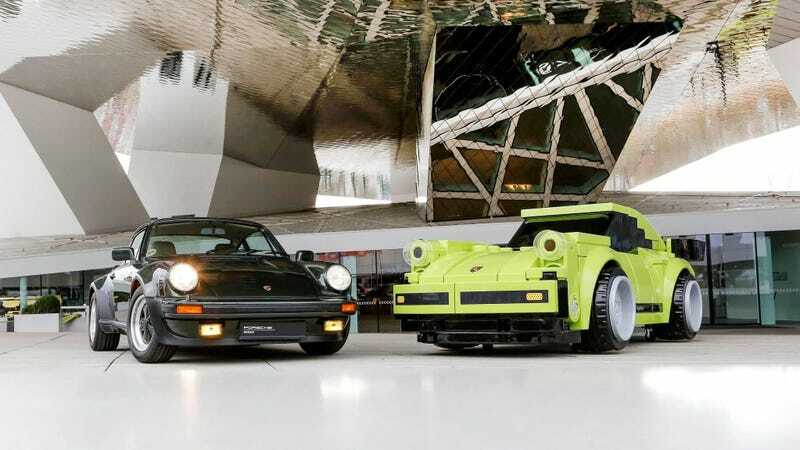 But Porsche decided it was cool enough to put on display at its museum in Germany, which can at least give us all hope that one of our creations will one day be museum worthy—especially since Lego models usually end up looking better than this. Inspired by this loose definition of art imitating life brought to us by Porsche and its rather scary 911, I decided to draw a portrait of my cat, appropriately named Portia, today. 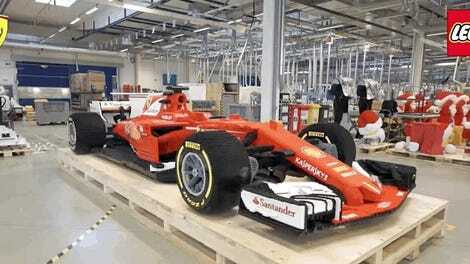 Looks museum worthy to me.